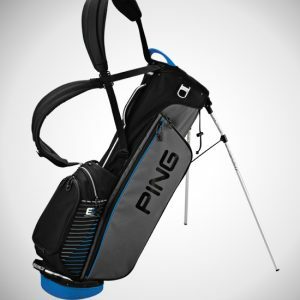 The PING Tour Staff bag is carried the world over by caddies of PING pros and it’s carted by golfers of all abilities who rely on its intelligent efficiency and quality-built, robust design. 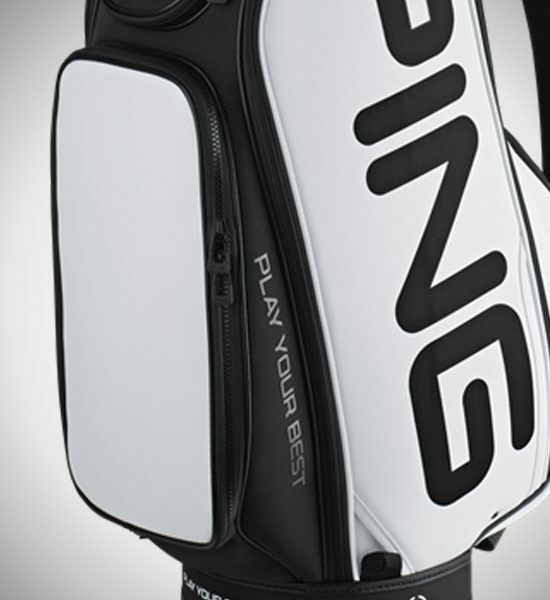 Clean lines and bold graphics convey the PING brand while nine large pockets, a six-way soft cover top and thickly cushioned shoulder strap place the emphasis on ease of use. 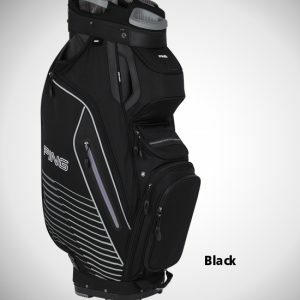 Customization is available on the belly-pocket panel, which zips off. 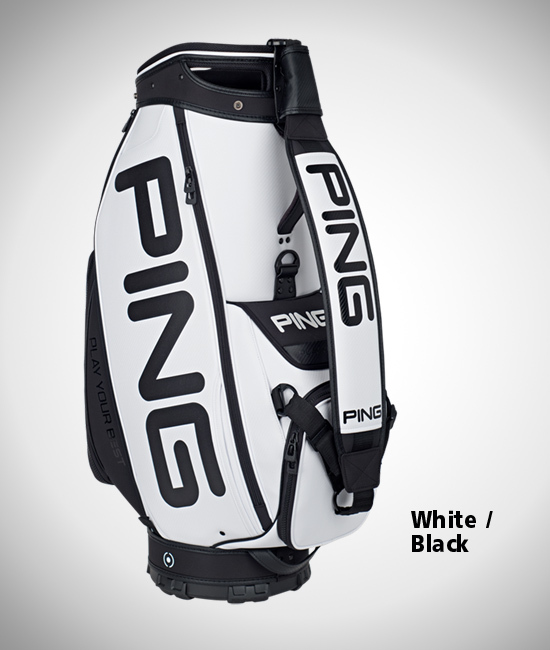 The bag is made of durable vinyl and waterproof polyurethane to hold up to the weather, clean up easily and provide long-lasting quality. 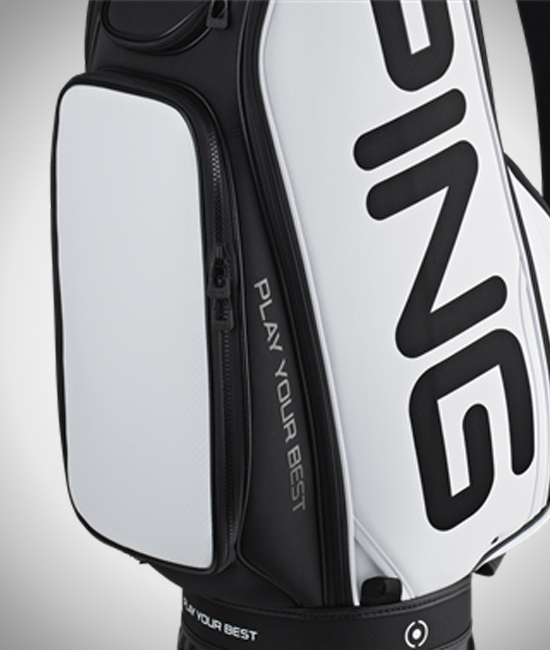 Pros trust the PING Tour Staff bag, as do golfers everywhere who want the ultimate in tour-style appeal, storage optimization and practical conveniences. 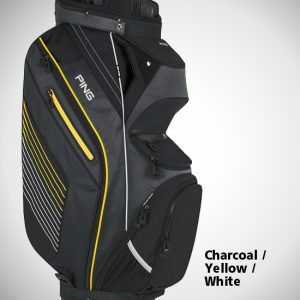 Two large apparel pockets and seven other pockets store bulky apparel, extra beverages, rain gear, valuables, lots of golf balls, plus accessories. 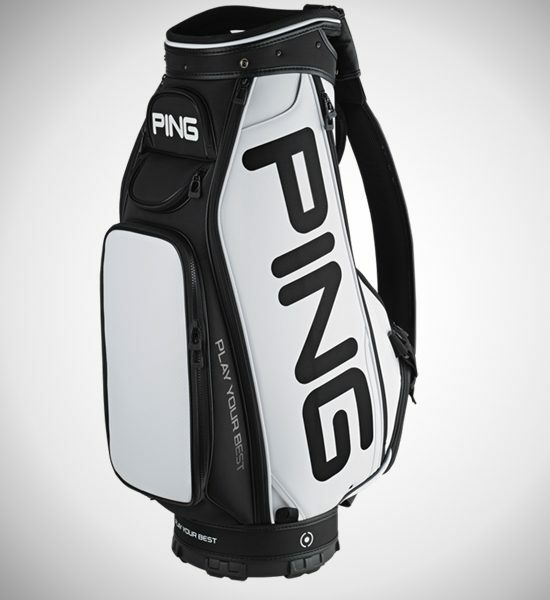 Made of durable vinyl and waterproof polyurethane, the PING Tour Staff bag’s hardy exterior will withstand wear-and-tear over time and it cleans up easily to keep looking good. 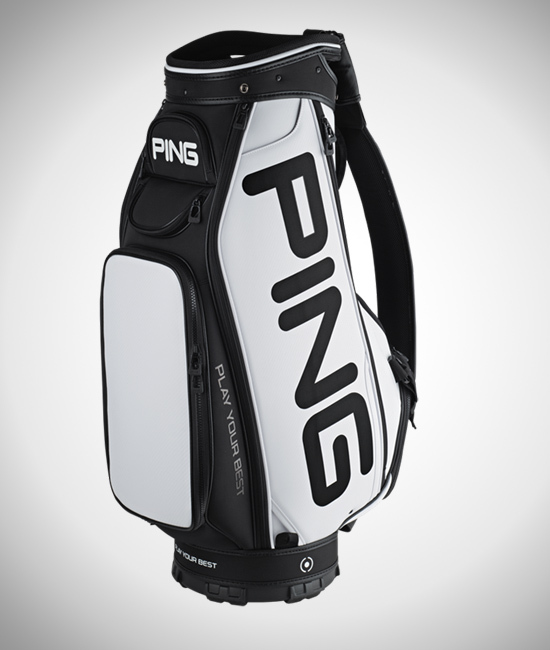 A six-way soft-cover top has two extra-large dividers to simplify club organization. 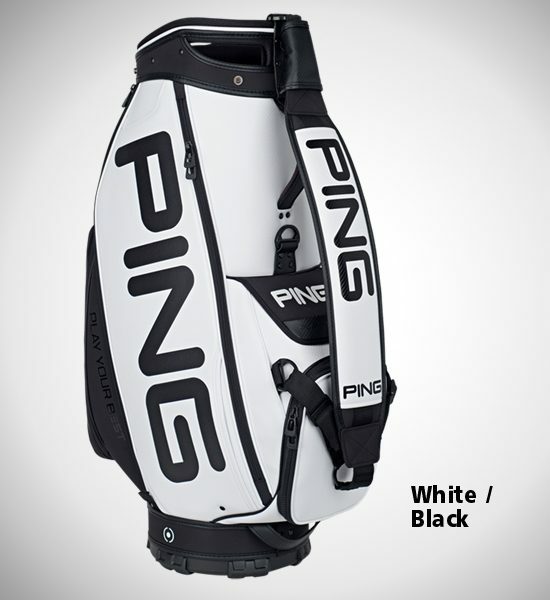 Quality touches include magnetic pocket closures, top-quality zippers and pulls, and a symmetric design that allows the bag to be carried on the left or right side.